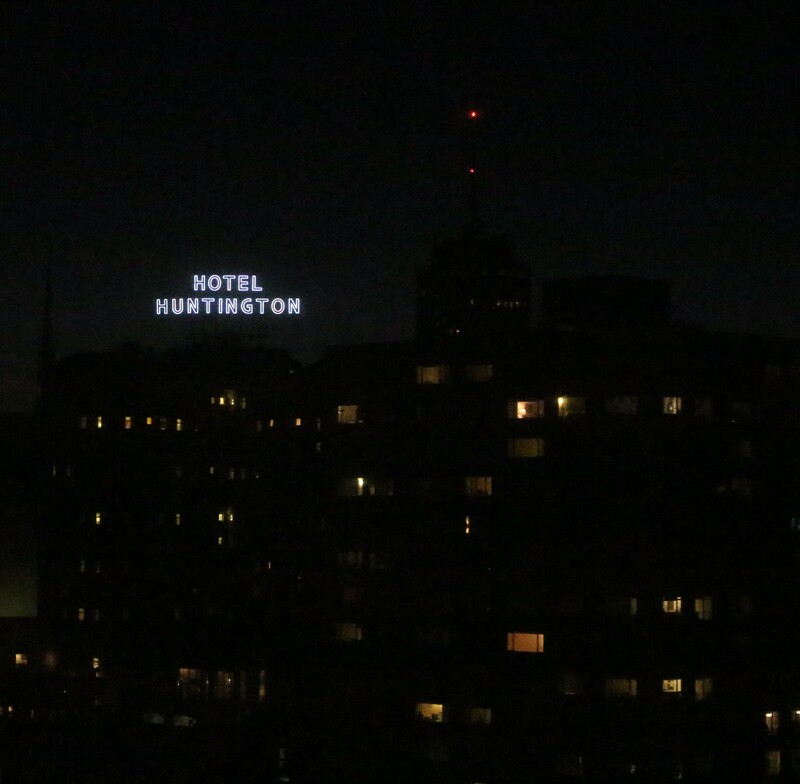 We recently spent three nights at the Marriott Union Square in San Francisco. The hotel is located at the corner of Sutton and Powell Streets. We were on the 28th floor in a corner room (2818) with great views. One window faced north towards Coit Tower and the other faced west. I love being on the upper floors of a hotel and sleeping with all the drapes open. The lights of the skyline twinkling like stars. It was equipped with a king bed and sofa sleeper. It was what you would expect from the Marriott brand: clean and bright. One thing I appreciate is an electronically equipped room. There were numerous easily accessible outlets, including USB plug-ins. The bellmen were some of the friendliest bellmen I have ever met. One gentlemen was from Texas and showed us a tiny Texas flag he kept pinned on the back of his tie. The concierge was knowledgeable and helpful with tips about the street cars and other transportation inquiries. Now for the bad news. We were informed when we checked in that the concierge lounge was not open on the weekends. Huge disappoint. Later we called room service to order drinks. We were informed that room service was available from 5-11 PM. Another huge disappointment. It was stated on the website and the in-room menu it was open from 6 AM – 11 PM. Lastly, signs were posted in the lobby stating that finding cabs is problematic. Currently, there is a shortage of cabs. That coupled with it being high-season, wait times can exceed 30 minutes. We ended up using LYFT and never had to wait. Yay LYFT!